Halloween and Bonfire Night are out of the way so I am officially allowing myself to get excited about Christmas! 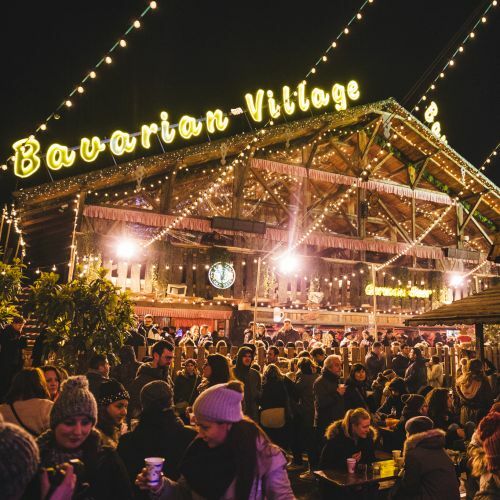 One of the things I love to do in the run up to the big day is visit Christmas Markets including the big Winter Wonderland featuring a Christmas market and much more in London's Hyde Park. This year Hyde Park Winter Wonderland kicks off from 4pm until 10pm on Thursday November 22 and runs until Sunday, January 6 2019, opening every day between 10am-10pm apart from Christmas Day. 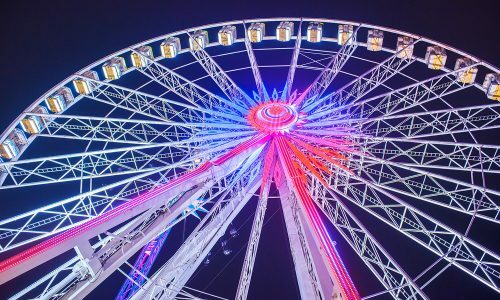 Entry to Hyde Park Winter Wonderland is free and attraction tickets are on sale NOW with family deals on offer from £20. So - what's in store for 2018-19? Yes, there will be a host of glittering attractions, shows, activities, rides and games perfect for the ultimate festive family day out. With a huge variety of food and drink stalls, cafes and themed bars, this year’s most anticipated seasonal showcase will see the entire family fully entertained. 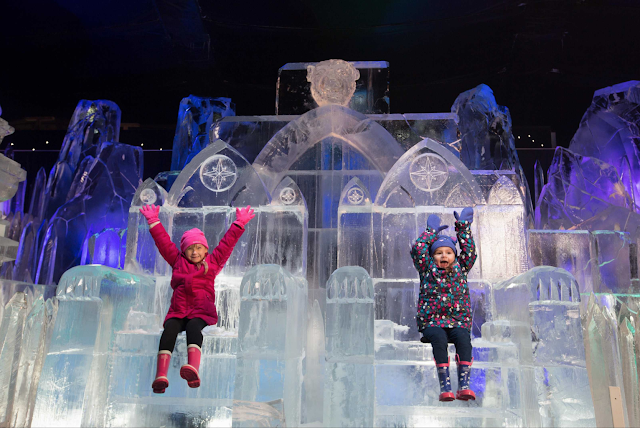 Brand new and exclusive for 2018, The Magical Ice Kingdom will this year host a sparkling new theme –‘Enchanted Forest.’ Expect a magical world complete with woodland animals and mythical creatures, created from more than 500 tonnes of ice and snow in -10c temperatures. You shouldn't miss Peter Pan On Ice, with awe-inspiring skating and flying tricks. Performed by the internationally acclaimed Imperial Ice Stars, J M Barrie’s well-loved story takes to the ice with spectacular flying, swashbuckling aerial sword-fighting and stunning special effects. Guests can also expect state-of-the-art animated scenery, dazzling costumes, fire-on-ice and original music and songs within the 50-minute-long spectacular show. Perfect for even the tiniest tots, Teletubbies Live Show will be heading to the MegaDome every morning as little ones can enjoy a magical Festive journey through Tellytubbyland. As part of the new and exclusively designed Santa Land, guests can seek out the huge 45m long Ice Slide, ride it on an ice tube and experience skidding down an ice covered "mountain. Suitable for all ages but younger guests will need to be accompanied by an adult. There's also an Ice Trike Trail suitable for kids over 6, teens and parents. Scoot round the 85m ice track on an ice trike, under a canopy of twinkling fairy lights and Christmas trees. 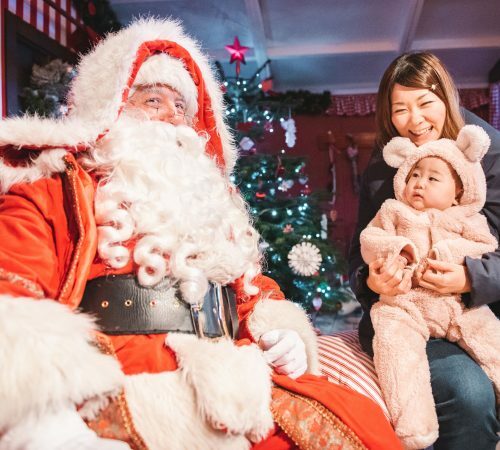 Don't miss out on visiting the (FREE) Santa’s Grotto. This year, Santa Land will have a new family entrance to provide speedy entry to the festive fun. For those with older children and teens, the circus acts heat up as the evening unfolds, as Cirque Berserk unleash a high-octane show featuring mind-blowing stunts. The all-new show combines the most incredible daredevil acts from around the world. 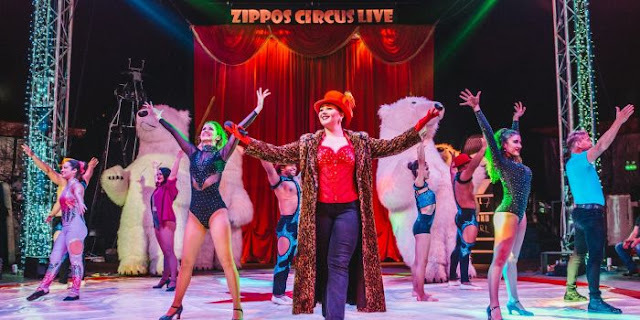 Audiences can expect dazzling trapeze, contortion and jaw-dropping acrobatics, plus high wire motorbike stunts and the return of the incredible Globe of Death, where multiple motorcyclists speed at over 60mph inside an unbelievably small steel cage! Want some amazing views? Head to the Giant Observation Wheel with staggering views across the capital. Tickets are available to purchase now through the official Hyde Park Winter Wonderland website with family deals from £20 and off peak offers available. Polish up those skates as the UK’s biggest outdoor Ice Rink returns… this year, it just got even bigger! Perfect for families, couples, friends or colleagues, test out your skating skills in Hyde Park Winter Wonderland’s most popular attraction. Located within beautifully leafy surroundings, skaters will glide around the Victorian bandstand under a canopy of twinkling lights - if that doesn't make you feel festive I don't know what will. Entry to Hyde Park Winter Wonderland is FREE. For individual attraction ticket prices and information, please visit the official website. Attraction tickets sell out, especially at weekends and evenings. Advance booking is strongly recommended. Individual attraction prices start from £7 adult / £5 Child / £20 Family* / £6 Concession plus booking fee. (Off Peak prices also available). *A Family Ticket consists of either: 2 Adults / Teens and 2 Children OR 1 Adult / Teen and 3 Children.